Note: Noisy book batteries are light activated, please make sure the lighting is sufficient for this book. Matt the Cat is looking for a mouse, and there are so many places on the farm where one could be hiding in this noisy barnyard adventure! 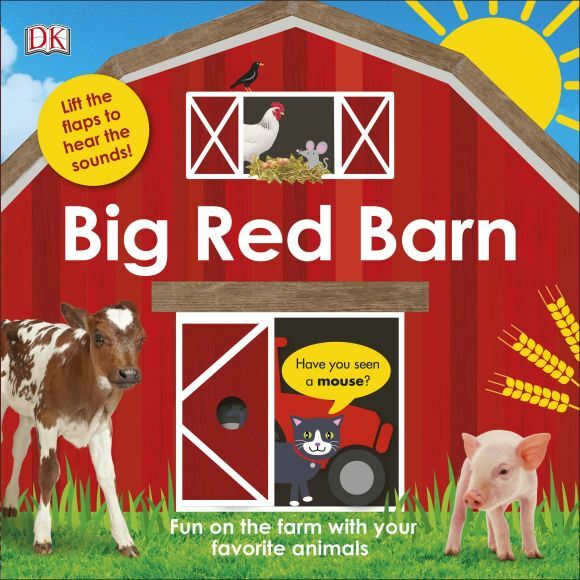 Written in narrative style with repetition of simple text and sight words to encourage learning, Big Red Barn also helps children improve motor skills with lift-the-flaps on each spread that introduce the sounds of horses, pigs, cows, and more. A combination of illustrations and images give the book a modern feel, plus a slider and sound button on the front cover start the fun right away!